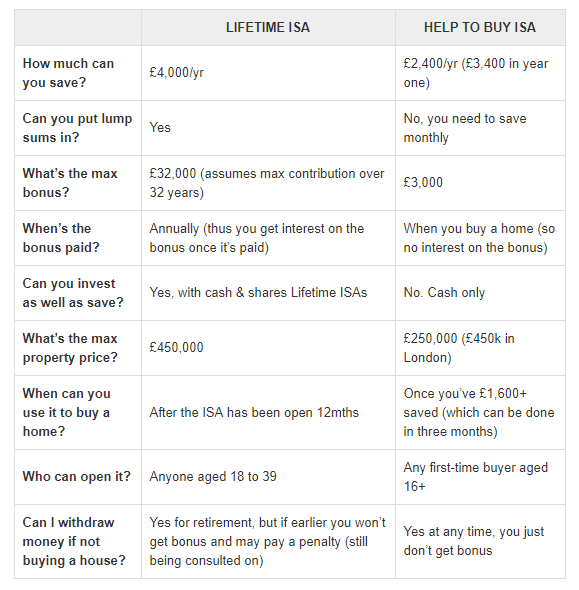 The UK government has recently released a new type of ISA, the Lifetime ISA, to help first time buyers, such as myself. My goal is to save £100,000. My monthly income is £2200. My monthly expenses are quite low at around £500. I am not putting anything into my pension yet, but this is a topic for another question. Given the benefits of each ISA and my goal, what do you think I should do? Should I move the funds from the Help To Buy ISA into my Stocks And Shares ISA or into a Lifetime ISA? Monthly contributions to Lifetime ISA's are £333.33, such that the annual contribution totals £4000; this is the max amount you will get the 25% bonus for. 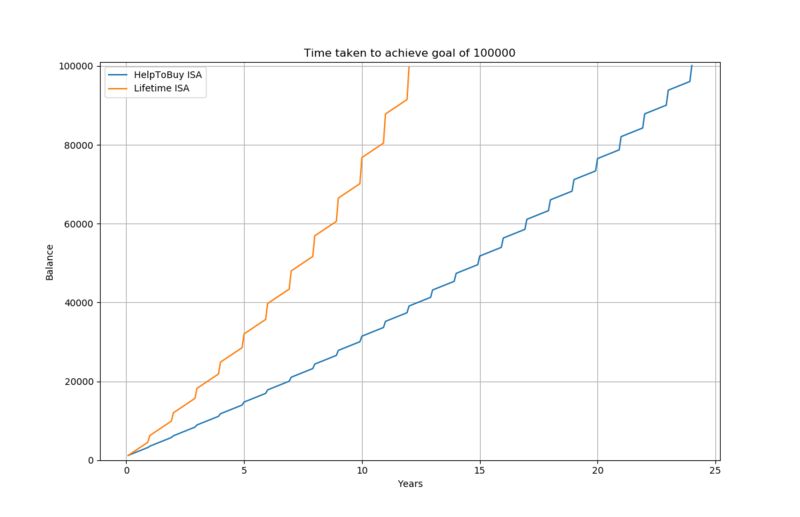 So it looks like if you follow the maximum restrictions for each ISA, a Lifetime ISA will help me reach my goal sooner, unless I am missing something. It is to be noted that I could speed up the process even further if I place more than £333.33 in the Lifetime ISA. You mention the LISA rate is 0.75% (which is frankly, very low - I'm assuming that it is Skipton you found, too). Whilst the Cash LISA has not been adopted much, have you considered a S&S LISA? This can co-exist alongside a S&S ISA, which you already have. A few bits of information would make this answer more accurate; such as your age, and whether you have any provisions set aside for a pension/retirement fund. Also, the fee levied for a partial withdrawal not for retirement or first time house buying has been set by the government at 5%, in addition to the bonus being removed. With a S&S LISA, there is the inherent risk of an investment as ever, but the potential is there to attain higher returns than either the H2B or the Cash LISA. If you are younger and are able to ride out this risk, it may be a more viable option to reach £100k before 12(?) years. There are considerations about whether or not you think you may need the money for other things later down the line. Due to the fee of the LISA, you should be sure that anything you commit is absolutely not needed until you are buying a house (first time) or are of retirement age. If you are sure you won't need the funds for anything else, I would convert the H2B funds to a (S&S) LISA - this way it can also double as a pension fund if you choose to go down that route, or work in tandem with a SIPP. You can pay into a S&S ISA and a S&S LISA in the same tax year too, for clarity. Not the answer you're looking for? Browse other questions tagged united-kingdom savings first-time-home-buyer isa or ask your own question.